The PSN was updated with a nice selection of games this week. 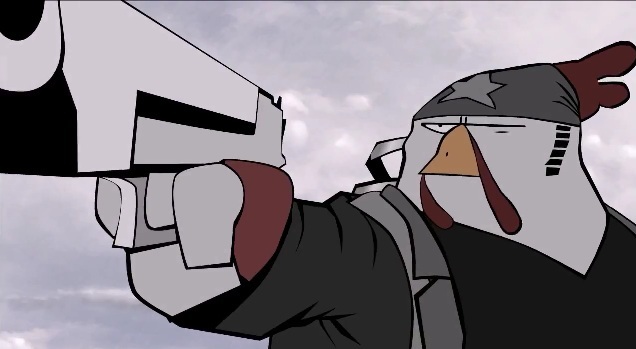 One title that may have slipped under your radar is Rocketbirds: Hardboiled Chicken. This launch trailer tells you almost everything you need to know. Guns, chickens, jetpacks, and a semblance of a plot makes an appearance. There's even a nod to the separate co-op mode at the end of the trailer. Rocketbirds: Hardboiled Chicken is available now as PSN exclusive. It supports two player local co-op. If you want more jetpack-tion, check out this trailer here. Page created in 0.2964 seconds.